Agile marketing is one of the best ways to create a content marketing program that produces high-quality work consistently over a long period of time, but how do we get there from here? This webinar will show you how. 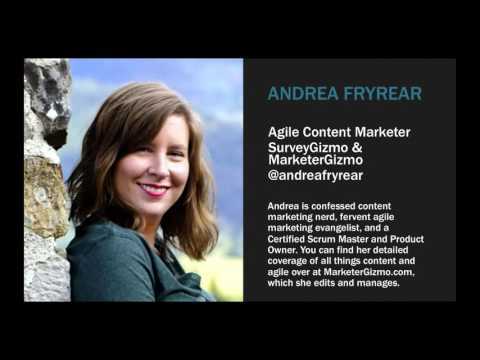 Andrea Fryrear, a certified Scrum Master, Product Owner, and agile marketing practitioner, and Jeff Julian, a CMO who has been practicing agile for over a decade, will go beyond high-level theoretical discussions of agile principles to show you agile tactics for your content marketing team.